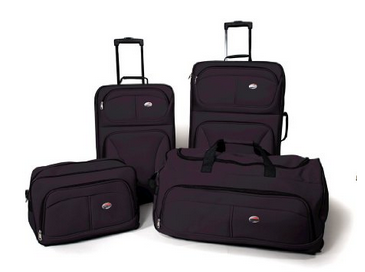 American Tourister 4-Piece Luggage Set 70% Off - Just $53.98 Shipped! You are here: Home / Great Deals / Amazon Deals / American Tourister 4-Piece Luggage Set 70% Off – Just $53.98 Shipped! American Tourister 4-Piece Luggage Set 70% Off – Just $53.98 Shipped! Head over to Amazon and get the American Tourister 4-Piece Luggage Set for 70% off — just $53.98 (reg. $200). And, shipping is FREE!